BONN, Germany, May 14, 2012 (ENS) – Governments met in Bonn Monday to tackle curbing global greenhouse gas emissions and helping developing countries adapt to the unavoidable effects of climate change. During the next 10 days, they will work towards writing a global, legally-binding climate agreement, extending the Kyoto Protocol into a second commitment period, and building funding support for developing nations to US$100 billion a year by 2020. The Bonn UN Climate Change Conference has drawn around 3,000 participants from 181 countries, including government delegates, representatives from business and industry, environmental organizations and research institutions. The meeting is the first time government representatives have gathered to assess the results of the annual UN climate change conference last December in Durban, South Africa, and prepare for the upcoming conference in Doha, Qatar at the end of the year. ?”Durban was a turning point, where governments agreed tasks and timelines that give the best chance of avoiding the worst of future climate change. We now need to maintain the momentum, to constantly keep turning political decisions into action,”? said Christiana Figueres, executive secretary of the UN Framework Convention on Climate Change, UNFCCC, the body responsible for intergovernmental climate negotiations. Figueres said that a gap remains between the agreed goal of a maximum two degrees Celsius global temperature rise and the current, global effort to stay below that level, she acknowledged. Analysis by the UN Environment Programme shows that current government pledges of emissions cuts put the world on a course towards a much greater temperature rise of 2.5 to five degrees Celsius. “A sufficient level of ambition to support developing country action, concrete and transparent implementation, today, tomorrow and into the foreseeable future, is the answer,” said Figueres. In Bonn, governments will work towards amending the Kyoto Protocol in Doha later this year so that a second commitment period can take effect from the beginning of 2013 when the first commitment period expires. The tasks ahead include agreement on the length of the second commitment period -? five years or eight years. The first commitment period was five years from 2008. Delegates must agree on how to convert Kyoto Protocol targets into quantified emission limitation and reduction objectives. They also will begin planning for a new negotiation to shape a global, legal climate agreement, which is to be completed by 2015 and to enter into force from 2020. The delegates will discuss how to raise global ambition before 2020 and begin clarifying national mitigation pledges and accounting arrangements up to 2020. 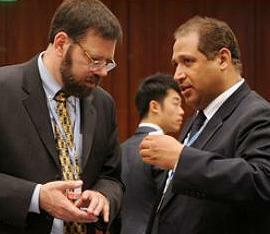 They also will discuss how to ramp up funding support for developing nations to US$100 billion per year by 2020. Progress on this issue is essential because 2012 marks the end of the US$30 billion of fast-start finance, and no one wants to see a gap in support. 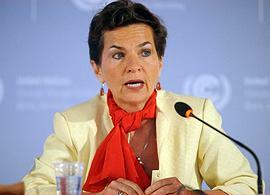 “Keeping the construction of the Green Climate Fund on schedule this year will be important so that it can become fully operational in 2013,” Figueres said. “Equally important are the operationalization of the Technology Mechanism and the Adaptation Committee, for which a three-year work program must be decided,?” she said. In Bonn, governments will consider a short list of three potential governments to host a new Climate Technology Centre, and recommend one of the three applicants for final approval in Qatar. The Climate Technology Centre, and its associated Network, is the implementing arm of the UNFCCC?’s Technology Mechanism established by the Cancun Agreements at the UN climate conference in 2010. 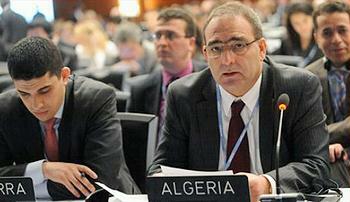 They are calling for agreement on a second period of the Kyoto Protocol with a science-based aggregate target for all developed countries, multilaterally agreed and legally-binding commitments, and the closure of all accounting loopholes to ensure genuine emission reductions, not merely cuts on paper. “Increased political pressure will be required to ensure greater leadership by those countries most responsible for the climate crisis,” said the coalition, which includes: Asian Indigenous Women’s Network; Friends of the Earth England, Wales and Northern Ireland; International-lawyers.org; Jubilee South – Asia/Pacific Movement on Debt and Development; the Pan African Climate Justice Alliance; Nord-Sud XXI; Tebtebba (Indigenous Peoples’ International Centre for Policy Research and Education); the Third World Network and the Institute for Agriculture and Trade Policy. For the first time, the issue of greenhouse gas emissions from agriculture will be dealt with in a systematic way by delegates in Bonn, said Figueres. 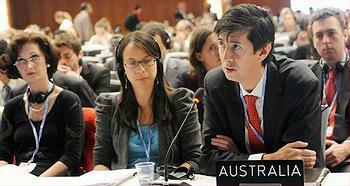 Also in Bonn, informative workshops will be held where governments will set out their views and positions. Nationally appropriate mitigation actions, or NAMAs, will be recorded in a registry that matches developing country actions to curb emissions with industrialized country support. A prototype of this registry will be presented to governments in Bonn, and the registry is scheduled to be finalized at the end of the year. Korea, China and Mexico are already adopting NAMAs of their own. 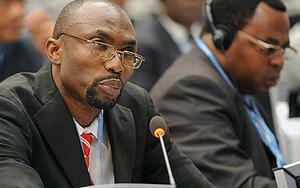 The Durban Forum on Capacity Building will hold its inaugural meeting on May 22-23. The meeting is the first of its kind in the history of the UNFCCC that allows for the direct participation of all stakeholders involved in building the capacity of developing countries to limit emissions and adapt to climate change.